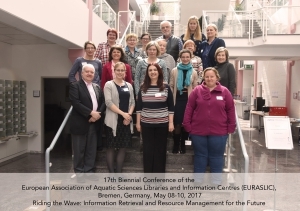 It is a great pleasure to announce that The 18th Biennial Conference of the European Association of Aquatic Sciences Libraries and Information Centres (EURASLIC) will take place in Zagreb, Croatia in 2019! Zagreb was named as Top European Destination in 2017 by Lonely Planet which will surely attract more and more visitors in the coming years. We are hoping that many EURASLIC members will be among them in 2019. Write it down in your calendars for 2019 and more details will come as the date comes closer. In the meanwhile, check what awaits for you in this charming city! For those that would like to participate, the registration is still open. 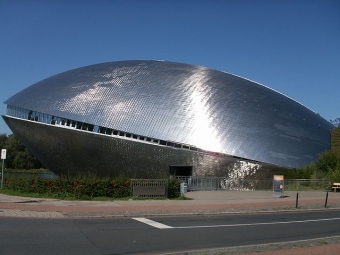 We are looking forward to welcoming you in Bremen! 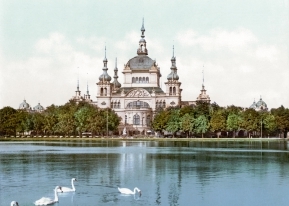 The registration to the 17th Biennial EURASLIC Conference is open! 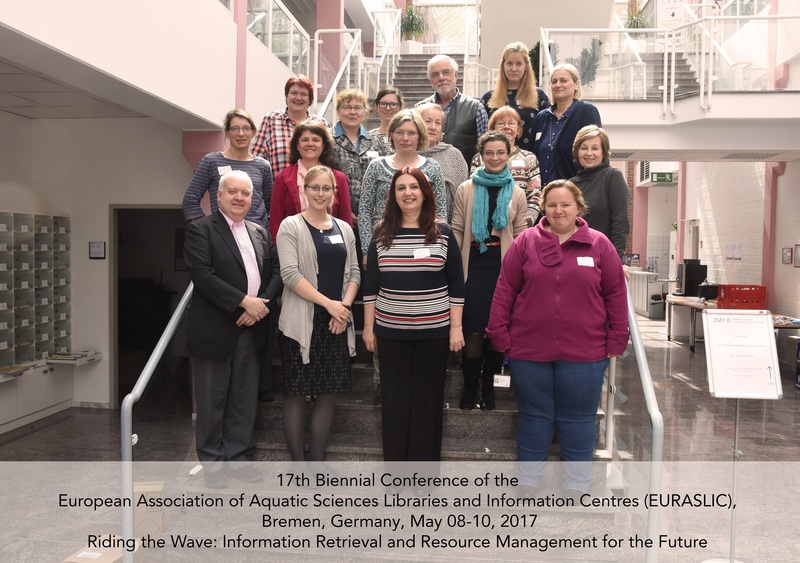 Travel grant for the 17th Biennial EURASLIC Meeting Riding the Wave: Information Retrieval and Resource Management for the Future , 8-10 May, 2017, Bremen, Germany has been announced. If you are current EURASLIC members who will be presenting a paper, poster or report and need some financial support you are invited to apply for sponsorship.